Above: Name plate photographed with the spire of St Giles, Camberwell, in the background, a church that she knew well. Mary was a regular church-goer but she attended the church of St John, Goose Green. Mary Joyce Boast (1921-2010) was librarian at the John Harvard Local Studies Library in Borough High Street. She was an expert on the history of the Borough of Southwark and wrote the area histories for the borough, including Rotherhithe, Bermondsey, Camberwell, Peckham, Walworth and Borough (this title being the history of places in or near Borough High Street). Mary was appointed branch librarian at Camberwell in 1954. In 1972 she was appointed Southwark’s first full-time Local Studies Librarian, based in small premises at the rear of Newington Library, at the north end of Walworth Road. In 1978 the Local Studies Library was moved to the John Harvard Library and Mary was able to expand the services of local history. She retired from the library in 1981, but she continued with writing local histories and giving talks about the history of Southwark. Mary died on 21 June 2010. In recognition of her long service devoted to the London Borough of Southwark, Mary was given the Freedom of Southwark in 1994. 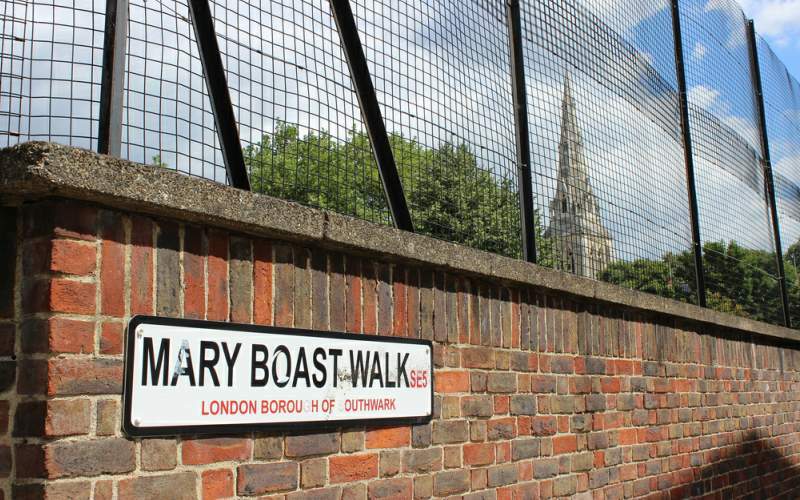 Soon after her death, a passageway in Camberwell was named ‘Mary Boast Walk’ in her honour. Above: Mary Boast Walk is a footpath, linking Grove Lane with Camberwell Grove. The footpath runs west from Camberwell Grove, beside the Grand Union PH to Grove Lane and is a fitting reminder of a librarian who also spent much of her spare time photographing the London Borough of Southwark, including this particular part of Camberwell. Further down Camberwell Grove is the old school building of ‘Mary Datchelor’. While the building was still in use as a school, Mary gave a talk to the ‘Old Girls’ on an evening when they were having a reunion meeting. Those of you who have heard my lectures will know that she acted as my mentor for the history of Southwark. As a librarian, she was responsible for setting up the new local studies library which became one of the best in Inner London for providing people with comprehensive information on local history. As a person, Mary, was a mine of information and many of us have learned so much due to her taking the time to explain its history which she came to know so well. 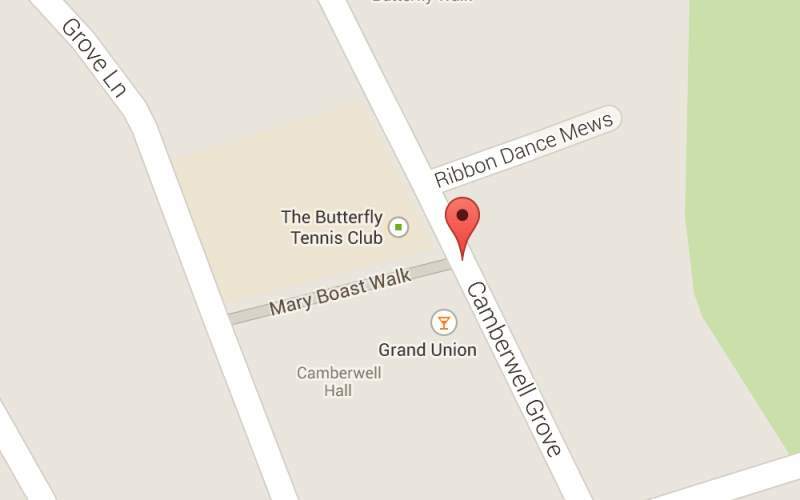 This entry was posted in /Sou-Camberwell. Bookmark the permalink.